NEW ORLEANS — Based on the Preseason Watch List for the men’s version of The Bowerman Award, it’s clear that there is a changing of the guard in 2017. 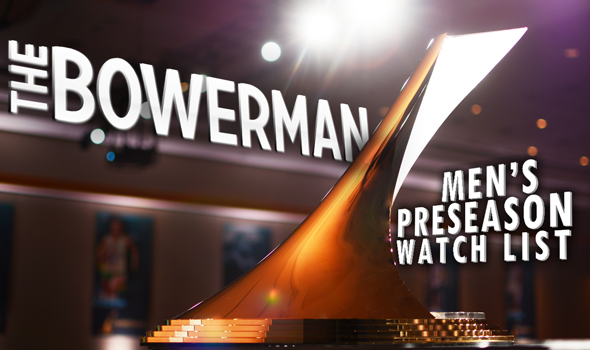 Out of the 10 men who were semifinalists in 2016, only two returned to the Preseason Watch List that was released Wednesday by The Bowerman Watch List Committee. It should be mentioned that four of those semifinalists last year were seniors and three others relinquished their eligibility to focus on professional careers. Eric Futch RS SR Florida Sprints/Hurdles Lansdowne, Pa.
Michael Norman FR Southern California Sprints Murrieta, Calif.
Byron Robinson SR Texas Sprints/Hurdles Chesapeake, Va.
Curtis Thompson JR Mississippi State Throws Florence, N.J.
Rudy Winkler SR Cornell Throws Sand Lake, N.Y.
Henry Wynne RS JR Virginia Mid-Distance/Distance Westport, Conn.
Also Receiving Votes: Cameron Burrell, Houston; Michael Cherry, LSU; Trey Culver, Texas Tech; Randall Cunningham, USC; Ioannis Kyriazis, Texas A&M; Nethaneel Mitchell-Blake, LSU; Nick Percy, Nebraska. And while there are eight new names on the Preseason Watch List, it’s still headlined by royalty: Edward Cheserek, also known as King Ches. Cheserek needs no introductions around these parts. The Oregon senior is a three-time finalist for The Bowerman Award and his 22 career appearances on The Bowerman Award Watch List double the total of appearances of the other nine men combined. He sits second behind former Arizona star Lawi Lalang when it comes to all-time nods (24). Other than Cheserek, the only other returning semifinalist is Lindon Victor of Texas A&M. Victor won the decathlon title last June in an epic battle against Wisconsin’s Zach Ziemek and posted the fifth largest total in collegiate history in the process. The Preseason Watch List welcomes eight newcomers to the list: Tennessee’s Christian Coleman, Florida’s Eric Futch, Virginia’s Filip Mihaljevic, Southern California’s Michael Norman, Texas’ Byron Robinson, Mississippi State’s Curtis Thompson, Cornell’s Rudy Winkler and Virginia’s Henry Wynne. Coleman won the indoor 200-meter title and placed third in the 60 at the same meet. Outdoors, Coleman doubled up as runner-up in the 100 and 200. Futch earned the NCAA outdoor title in the 400 hurdles after winning the SEC title in the same event. He was also a semifinalist at the U.S. Olympic Trials. Mihaljevic nabbed the outdoor shot put crown and placed 5th in the discus throw to score the most points out of any male thrower at the NCAA Outdoor Championships. He also won bronze at the 2016 IAAF World Indoor Championships in the shot put. Norman is just a freshman, but is surrounded by hype entering the NCAA system. He placed 5th in the 200 at the U.S. Olympic Trials and two years ago set the NFHS 400-meter record (45.19) that still has to be ratified. Robinson didn’t compete in an individual NCAA final during the 2016 season, but made up for it at the U.S. Olympic Trials. He placed third and then made it to the semifinals of the Olympic Games. Thompson won the NCAA javelin title last year and then placed second at the U.S. Olympic Trials, but didn’t have the standard to make it to Rio. He put together a solid season, though, as two of his best marks eclipsed 81 meters, including a heave of 82.88m (271-11) in a runner-up effort to Cyrus Hostetler in Eugene. Winkler finished runner-up to Nick Miller in the hammer throw outdoors and returned to Hayward Field less than one month later to win the U.S. title. The Cornell standout is the second male athlete from the Ivy League to be included on the Watch List. Wynne nabbed the indoor mile crown last year and followed it up with a third-place finish in the outdoor 1500. The current Virginia senior won ACC titles in both events. Seven men garnered the attention of the Watch List Committee but didn’t receive enough votes to be on the Watch List: Houston’s Cameron Burrell, LSU’s Michael Cherry, Texas Tech’s Trey Culver, Southern California’s Randall Cunningham, Texas A&M’s Ioannis Kyriazis, LSU’s Nethaneel Mitchell-Blake and Nebraska’s Nick Percy.